Stroll down our tranquility paths through the vineyards, attend a private yoga class in our movement studio, or exercise in our fitness center. Renew yourself in the luxury of one of our healing spa services that range from a variety of massage and body treatments, facials, nail care and social spa experiences. GrapeSeed Spa includes a 24-hour fitness center, heated outdoor saltwater pool, set to an inviting 84-degrees throughout the year, alfresco saltwater whirlpools, steam rooms, dry saunas, a wide range of treatment rooms and two tranquility lounges.Snuggle up and relax on an oversized chaise lounge on the Spa’s spacious veranda overlooking wine country after your day of rejuvenation. 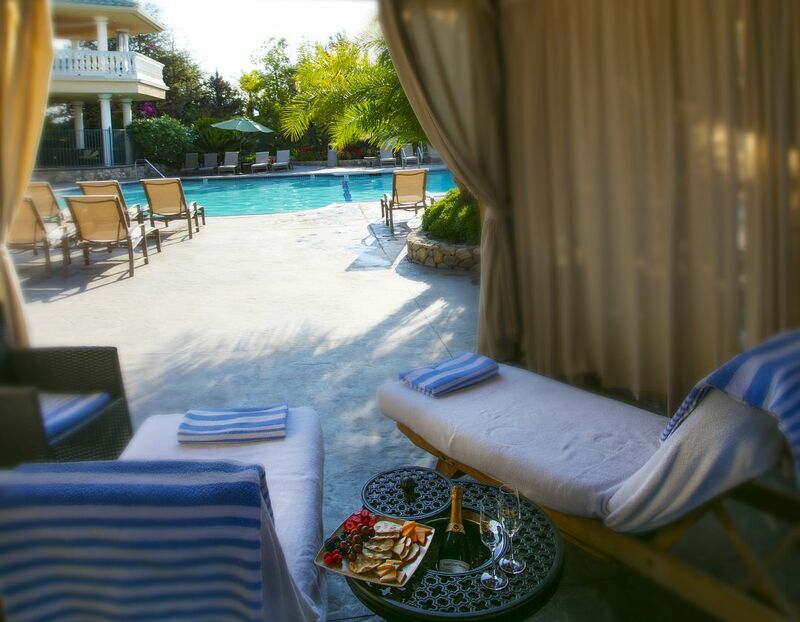 Relax poolside with the sun overhead while sipping our signature wines, or relieve stress underneath our seven-head Vichy shower. We continue to strengthen our commitment to quality by providing luxurious spa experiences, utilizing innovative techniques, organic ingredients and sustainable products.